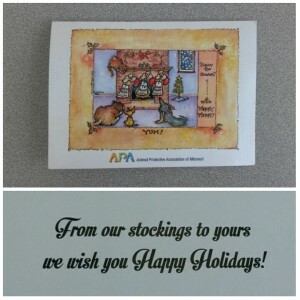 Get your Holiday Cards at the APA! A pack of 12 is going for only $6 right now. Here is what they look like, along with the inside message. Get yours by coming to the Adoption Center or by calling 314-645-4610. Happy Holidays, everyone!